This chia raspberry prune breakfast is so delicious it reminds me (for some reason) of rhubarb crumble. 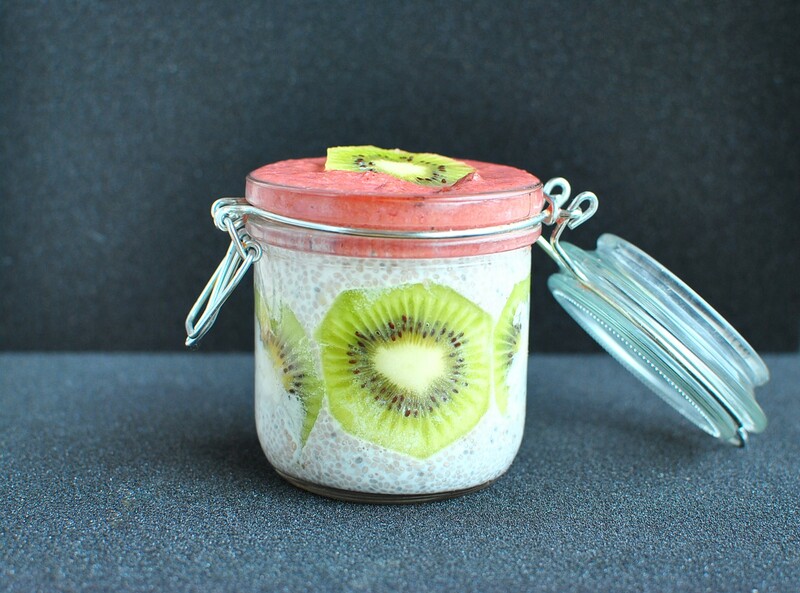 Chia seeds are the superfood of the last few years and I too have to admit that I have jumped in and think they are fabulous, especially in creating quick, easy and healthy breakfasts. pretty impressive when you consider that this is just a single ounce, which supplies only 137 calories and one gram of digestible carbohydrate! Added to all that is kiwifruit, raspberries and ground almonds and you have a super nutritional breakfast (or snack or healthy dessert) that only takes a few minutes to put together. If you are after more nutritious easy breakfast ideas try these Strawberry Overnight Oats or Apple Crumble Overnight Oats or Chia Raspberry Mousse to name a few. This can be made the night before or up to 1 hour before. No Replies to "Chia Raspberry Prune Breakfast"